Nice. Wish he had included “Hazel” in the show; this is a terrific version. Why can I not see the videos on your site? I can get the audio but with no picture. What do I need? The videos in this post are from youtube. Can you see videos from youtube ? Historic! Rehearsals for Bob’s only Unplugged show. Oh, yeah! Loved the way JJ gave instruction at the end of Tombstone Blues and Bob went right along with it. More great stuff, Egil. Thanks. 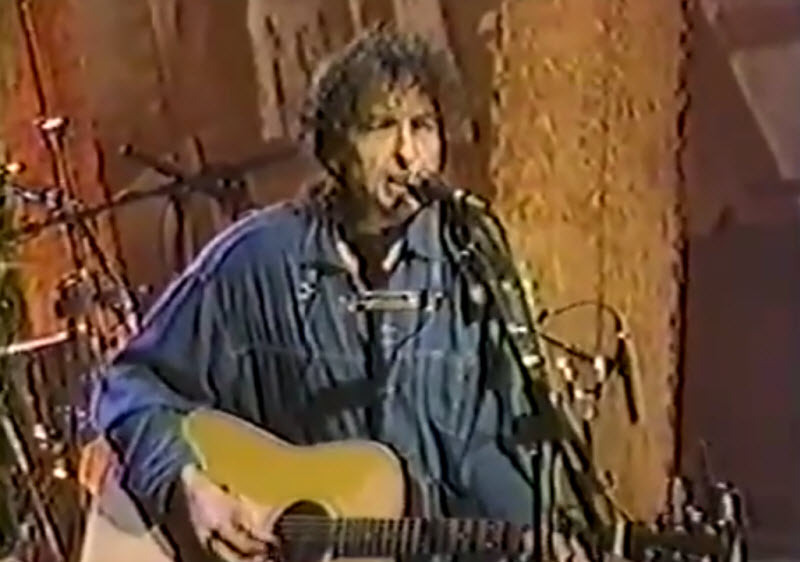 THANKS for this generous set of unplugged rehearsal clips, certainly a rare opportunity for us to see Dylan at work, no frills, no visible audience. All the more significant after having seen the live show videos.